Malaysia announces mass grave find Jump to media player The Malaysian authorities say they have discovered mass graves near a series of abandoned people smuggling camps along the border with Thailand. 'I was at sea for three weeks' Jump to media player Thousands of Bangladeshi and Rohingya migrants are stranded at sea, adrift in the Bay of Bengal as no south-east Asian country wants to take them in. Akbar Hossain heads to the Cox's Bazar district of Bangladesh to find out why people are risking everything to reach Malaysia. 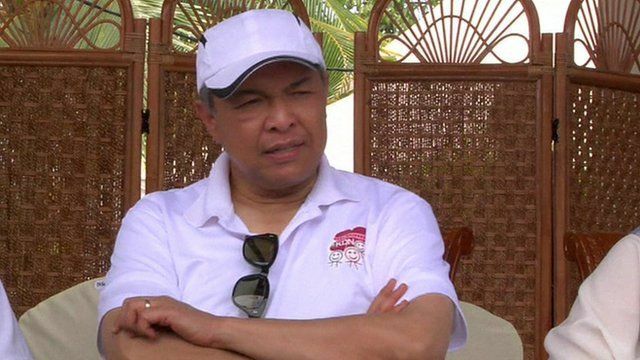 BBC search for desperate boat migrants Jump to media player The BBC's Jonathan Head has been searching for the desperate boat migrants who had been stranded along the border with Malaysia. Migrant rescue: 'Boat journey from hell' Jump to media player About 700 migrants rescued off the coast of Indonesia by fishermen on Friday are treated at a makeshift camp in Aceh. The man buying back Myanmar's migrants Jump to media player Human traffickers ferrying thousands of Rohingya Muslims from Myanmar are refusing to let some of those on board return home unless ransoms are paid. The Malaysian authorities say they have discovered mass graves near a series of abandoned people smuggling camps along the border with Thailand. Local media reports suggest the graves discovered last week in the Northern state of Purlis, could contain at least 100 bodies thought to be those of Rohingya refugees and Bangladeshi migrants. The Malaysian Home Minister Ahmad Zahid Hamidi spoke about the discovery.